The Advisory Board of the KROHNE Group has appointed Dr-Ing. 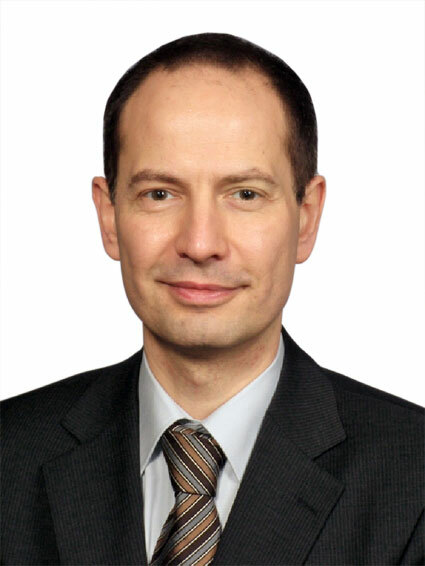 Attila Bilgic Managing Director of Ludwig KROHNE GmbH & Co KG. He assumes global responsibility for research and development and extends the managing board of the KROHNE Group alongside Michael Rademacher-Dubbick and Stephan Neuburger. His main task is the “digitisation” of the measuring devices and measuring systems, their networking and their integration among themselves, as well as with and into the digital systems of the users. The area of “smart sensors”, which KROHNE has pioneered with various research projects under his leadership, is also of particular significance. With more than 350 employees, the KROHNE Group currently employs about 10% of all staff in research and development with a budget of approximately 8% of the total turnover (total turnover 2015: approximately EUR 500 million). The topic of networking has been predominant for the career of Dr Bilgic: prior to joining KROHNE, he held various positions in the “Communication Solutions” division of Infineon Technologies AG from 2000 to 2009, most recently as Director System Engineering. From 2007 to 2009, he was head of the Department of Integrated Systems at the Ruhr-Universität Bochum. Since 2016, he has been a member of the board of the VDI / VDE Society of Measuring and Automation Technology. He is also a member of the German Physical Society and the Institute of Electrical and Electronics Engineers IEEE.